Getting the full picture about the LG V20's pricing and availability in the US is proving a tad more complicated than we would have expected. T-Mobile revealed the first piece of the puzzle earlier today, saying it would start selling the handset on October 28. Yet the magenta carrier remained mum on any pricing information. And now AT&T follows suit, in that it also acknowledges it will offer the V20. Oh, and this carrier has published its prices for the device. The flip side? AT&T doesn't mention a release date. Then again, we assume LG will launch the V20 on all US carriers at the same time, so you can probably put that down as October 28 for AT&T as well. 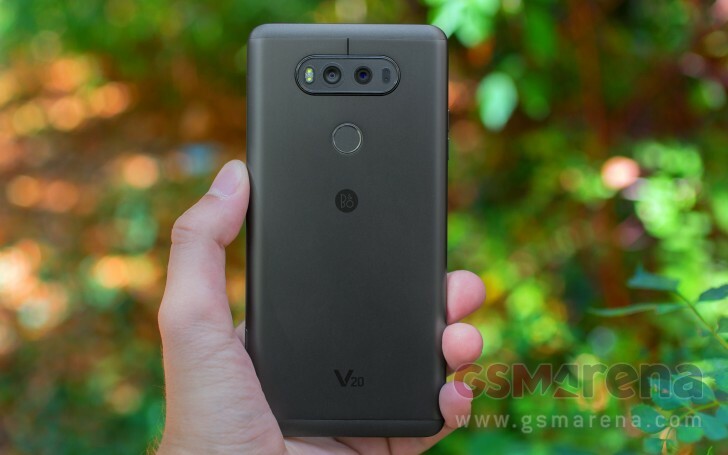 So, how much will a V20 set you back? $27.67 per month for 30 months, or $34.59 each month for two years. In either version, the full price is $830. So clearly this isn't a bargain-type device. It's LG's latest flagship smartphone, and priced to show that. According to AT&T, if you're a DIRECTV or Uverse TV customer and port-in a new line of service you might be eligible to receive up to $695 in monthly credits when you buy a V20 on an installment plan. Additionally, if you grab the handset from this carrier you can also have an LG G Pad X 10.1 tablet for $0.99 with a two-year contract. AT&T will start taking pre-orders for the LG V20 tomorrow.